If you suffer from anxiety or depression exercise is a great way to treat it. It is not a complete cure for feeling this way, but it certainly can help improve symptoms and alleviate the feelings of stress and sadness. So when you’re feeling extra sad or need a new activity to get some of your energy and frustration out, look to exercise and classes as a great way to help feel better and improve your day to day living. Of course part of exercising and treating anxiety and depression is eating well and taking vitamins, which is a big part of getting the most out of your daily exercising routine. So focus on working out to improve your mood, but don’t forget to take care of your body by eating the right foods in the process. With all of these elements combined it will help treat your symptoms and you should feel better over time. Exercise Three to Five Days a Week – Research shows us that exercising at least thirty minutes three to five days a week will significantly make a difference if you suffer from anxiety and depression. By exercising regularly you may even be able to cut back on medication depending on how you feel. But – don’t be hard on yourself if this isn't a possibility. Just try your hardest and use exercise to your advantage. Thanks to exercise, the anxiety-relieving effects will help strengthen your mind and make you feel better overall. How Exercise Specifically Helps – While you’re exercising your heart rate will increase, but it’s different than experiencing a faster heart rate due to anxiety because over time your heart will learn how to work efficiently and will use exercise to improve its function. Since anxiety is linked to an increased heart rate, exercise is fantastic. It will help calm your heart rate down and decrease your anxiety, making you feel better and able to breathe easier. Short Intervals of Exercise – If you don’t have time to commit to an hour of exercise three to five times a week or even have a half an hour to spare, research shows that even short bursts of exercise will help too. 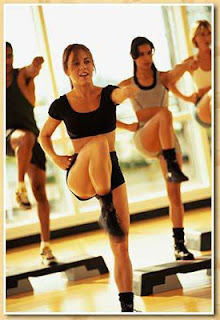 Exercise up to ten to fifteen minutes a few times a day and this will improve your mood and fitness routine. When your exercising improves so will your outlook on life and in the process working out will help you better cope with whatever comes your way. Sierra is a freelance writer and owner of Paige One who suffers from anxiety, but she enjoys exercising because it helps reduce it.